As a counterpoint to the previous post (ha), it’s nice to see this inspired new community coming to life right up the road in Columbia, SC. 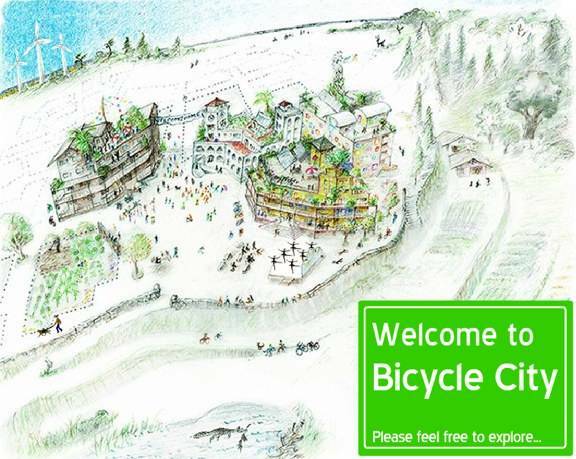 Called Bicycle City, it’s envisioned as a car-free burg where residents park their cars on the “outskirts” and then use bikes, public carts or their feet to get around the interior. While only 12 miles from downtown and the USC campus, the real action will be access to the Congaree River, road and mountain bike loops, the state farmers’ market, community gardening plots and the multi-use town center. Way to go Cola.